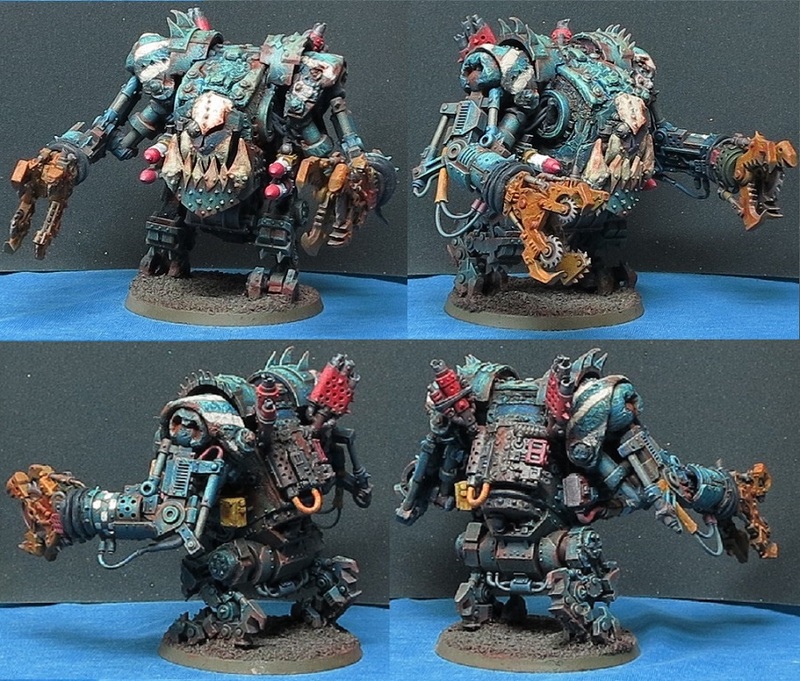 Cheers for the response Giga and apologies for the delay in answering - been trying to get stuff worth posting done but mainly making virtually no progress but a lot of scrap (don't think mega armour was designed for sitting down in, or for riding warbikes ). P.S. A Warlord Titan banner would easily make the "ridiculously oversized" classification. L-R Radius arm for one side of the 'ball' turret (other arm's already fitted to the uppy/downy bit that the 'gunner' sits in), next to that is the assembled part Milliputted ball turret - the brass rod is there to make sure that the Milliput bosses have holes through them that line up correctly, once both sides have been done the rod will be replaced by two smaller rods so as the gunner can sit in the middle. Then there's the part 'putted 'turret' that will have the ball turret rotating 'up' and 'down' in it (again the rod through the middle will be replaced by two shorter bits) and at far right there's the bits of the turret part assembled hopefully showing the bits that have gone into them. 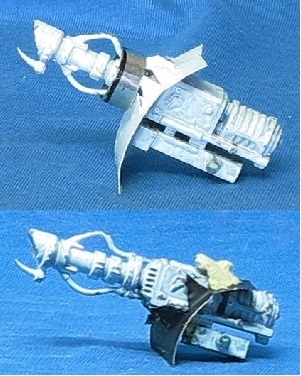 I've used tinplate 'coz it's what I've got - it can all be duplicated in plasticard if blocks of sprue are used to reinforce the glued edges and the 'ball' turret is pretty much the same thing as a gun mantlet ('cept bigga, wiv an ork in it ). I looked at all the tin & Milliput, read the paragraph, and thought? Went out to work in my much too large garden, and came back to reread your thread. It took me a moment, but then I figured out how it all went together. Duh!, the big rod was throwing me off. Should work well, I hope the conical towers will fit (where's that fingers crossed emoji?). Years ago, I took a tour of the Garber Restoration facility. They restore all the planes for the Smithsonian Air & Space Museum there. The tour guide took us by a ball turret on display, and remarked that WWII ball turret gunners were the smallest men in their squadrons. Ball turrets also retracted up into the bomber for landing (at least they did on U.S. bombers). I like your Orky version better than a weedy 'oomie one. 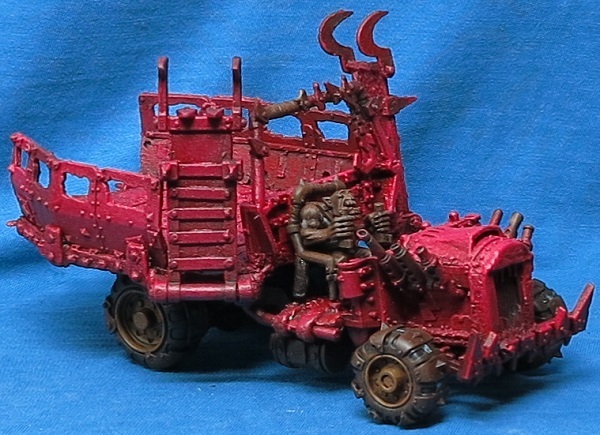 I like the trukk engine, it looks like something that will make some serious power. 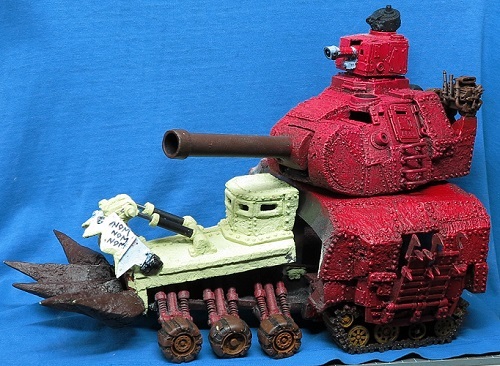 As much as I like the GW trukk kit, I have always thought that the engine could use a little help. The rear trakk drive is a piece of art, well done!! 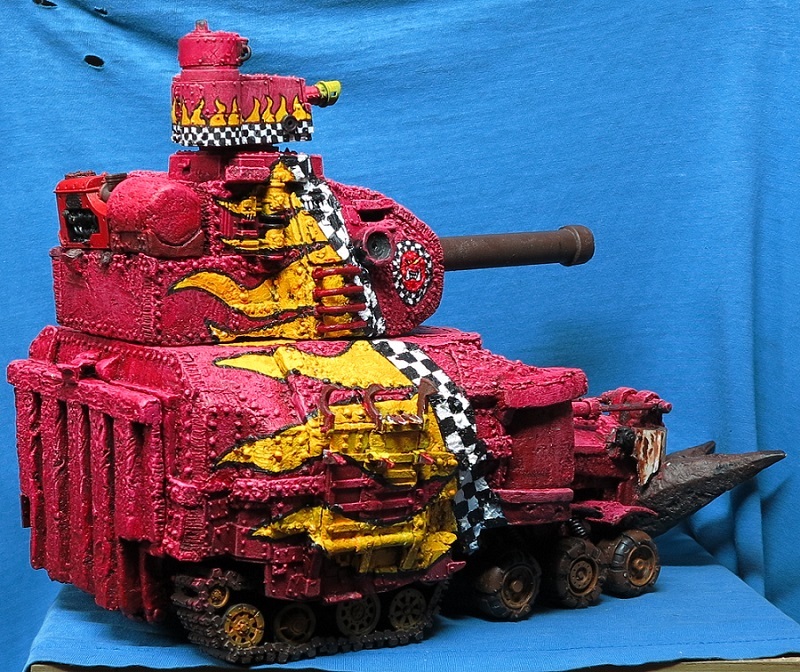 Wazdakka should be racing around the battlefield in style. "Hur hur - I fink FW sells titan bits " They do, and they sell transfer sheets. The sheet entitled 'Titan Transfer Sheet' is the one I believe you will want. Alternatively, appropriate images are floating around the internet, just waiting to be downloaded. 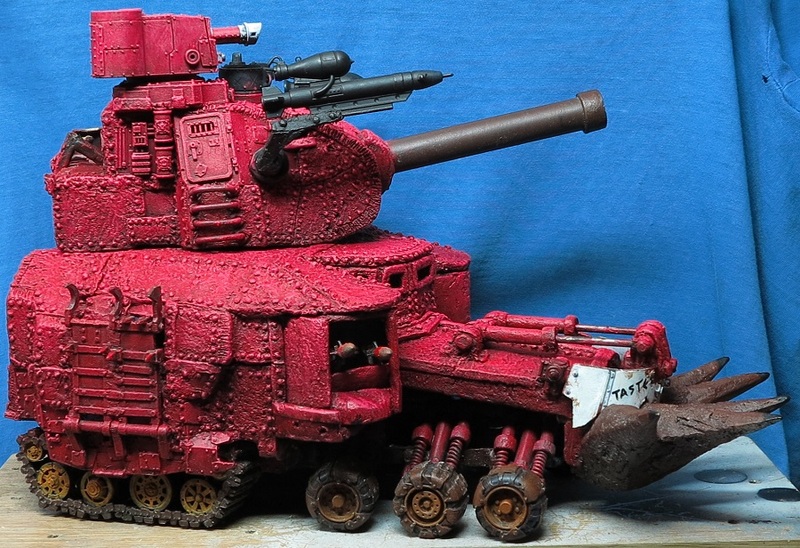 The Skullnamma front end is filling in; the hydraulics, and the driver's cupola really help to bulk up the battlefortress' front, the turret towers ought to finish the job. Are you planning on some exhaust megaphones for Wazdakka? They would help finish the powerplant, and fill in the area over the track drive. Something like the Honda 250 & 350 cc, 6 cylinder, Grand Prix bikes of the mid to late 60's, but more exaggerated ( <http://www.motorcycl...sixcylinder.htm> ). P.S. you're right, mega armor is not designed for sitting. Cheers Giga, been busy doing rubbish so it's taken a while to get anything 'worth' putting up (cheers for the Honda linky - had been thinking about reverse cone megas, depends how much room I get left with ). External mantlet restricts the amount of elevation/depression, big nosed turret would restrict slew in a tight space. Hadn't enough height to do the turret roofs like the old epic one - did what I could to suggest them. Still need the bonnet sides, back door/ramp, exhausts, internal bulkheads.....Are we there yet? So, I aintn't ded yet. Is that the battle kannon in front of the handlebars? You might wanna reinforce it so it doesn't rip it's mounting off when it fires. It's an FW killkannon - I had a look at the supakannon and killkannon in the cabinets at FW, the supakannon was stoopid long and the shells that the grots had got for it were the same size for both, and the kk had a better selection of grots (who I really want to be crawling all over the bike). 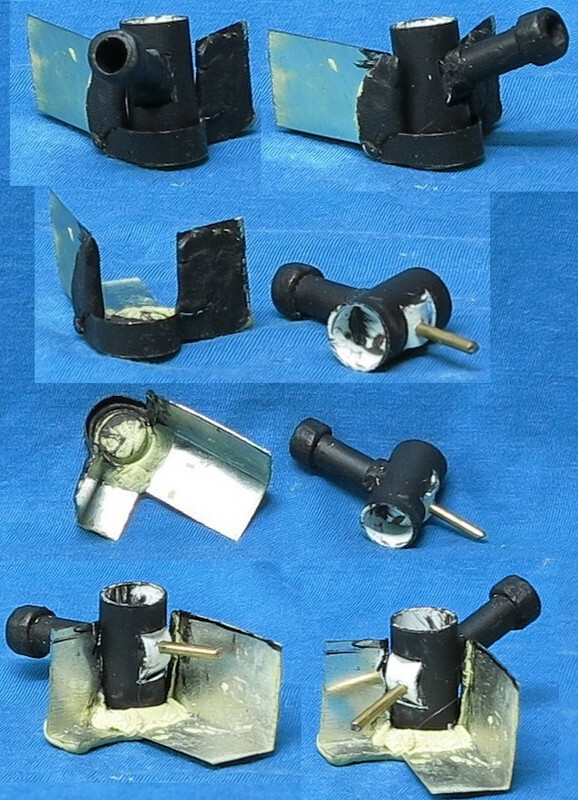 If I can figure out a way to modify the breech then I should be able to knock up some proppa-rer ammo for it, in which case it may have to move forwards and that'll require extra bracing anyway although it is bolted to the engine block same as everything else on the bike is ('cept the flakkagunz). "the supakannon was stoopid long and the shells that the grots had got for it were the same size for both" The A-10 Warthog/Thunderbolt II was designed around the GAU-8 Avenger cannon. 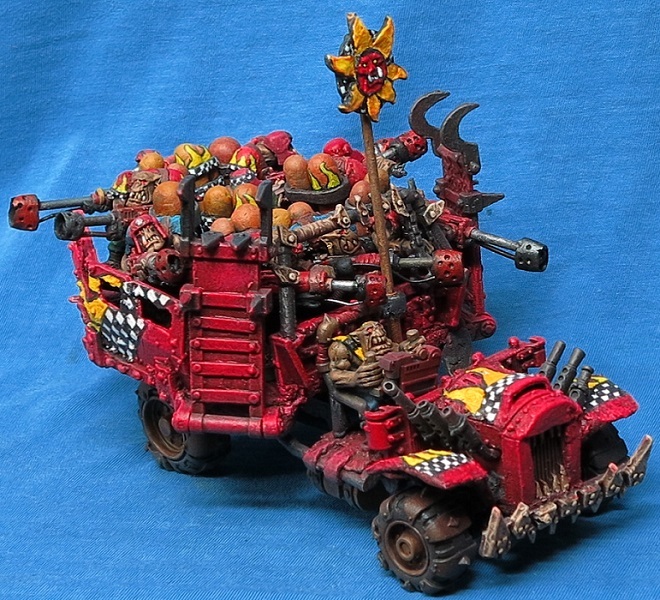 Hmmm, a warbike designed around a supakannon, what an interesting concept. Someone may have to devote some time to creating such a thing. Liking the progress on the bigger, and redder, big red thing. 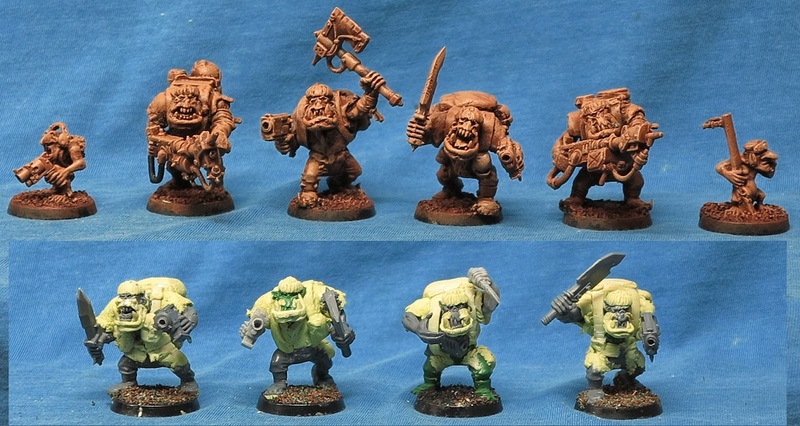 Dat's a dedd 'ard squad o' kommandos Badfang! I was not sure how they were going to turn out while just in the milliput stage. Now that they have some color on them, they look great. I think you have captured the look of the older (series 2?) metal kommandos while using the modern figures. "Now I'll have to try and find my heavy duty thread that I haven't seen for years " And you won't find it until after the purchase of a new spool of heavy duty thread. At least that's how it always works for me. The idea of the varnish after each layer is to try and keep the pigments from blending into each other - looks like they're either fading into the paint or being blown off by the aerosol, experiments continue. Got its' back ramp fitted (tho not the hydrollix yet) and it's not quite as red any more. Old skool Evil Sunz logo is awesome. Flames and checks - awesome. It's not my favourite build of yours but it certainly is distinctive. 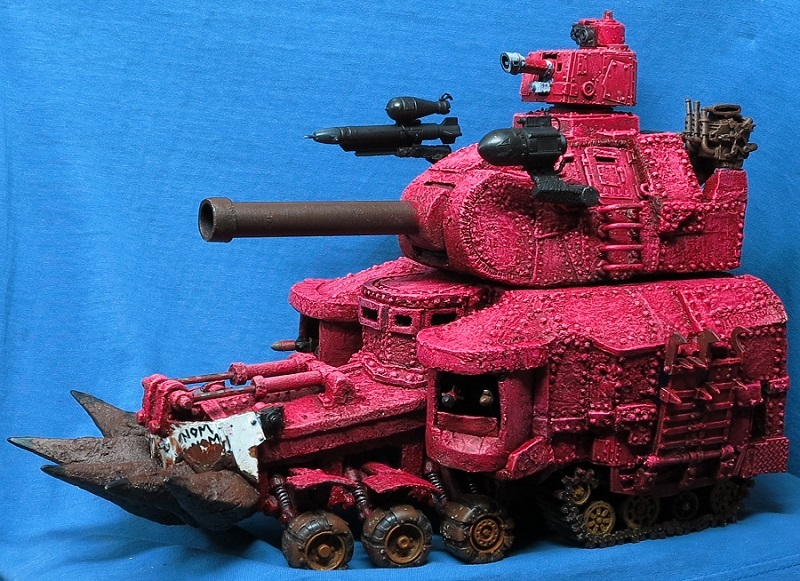 And the red paint job really pulled it together much better than I was expecting. Does the deth dread have reinforced arms, is that what's I'm seeing here? Now where's the pix of Wazdakka?